When it comes to pumpkins, there’s a way to decorate a pumpkin and there’s a way to DECORATE a pumpkin. Jeanette Paras of Paras Pumpkins is known for the latter. My darlings, this woman has put our pumpkin carving to shame. Instead of carving a face into a little store bought pumpkin, Paras paints the faces of famous people onto ginormous pumpkins, some weighing over 350 lb. Yes, you read correctly. Three hundred and fifty pound pumpkins. 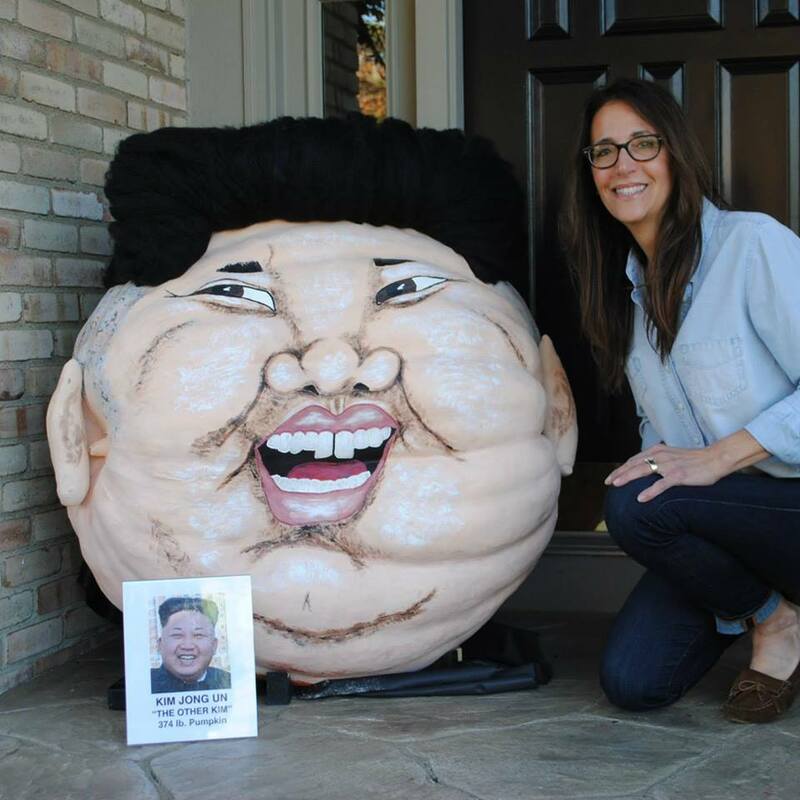 The faces of Kim Jong Un, Lady Gaga, Steve Jobs, Kanye West, Miley Cyrus and even Betty White have been marvelously pumpkin-ized by Jeanette Paras. Enjoy some of her creations below!